On occasion, we are asked to tutor people individually. There are a number of reasons why you may require private tuition: maybe you lack confidence and would like to brush up with individual lessons before facing a roomful of people. Or maybe you would like to organise classes for family or friends. Whatever your reason, please do give us a call: we will find the right solution for you… And it may not be as expensive as you’d expect! » Maybe you need to gain confidence first before joining a group. » You may be a couple, who would enjoy doing something together, at your own pace. » You may not fit into any of the traditional categories because you have specific needs, whether professional (specialist vocabulary) or academic (grammar), or because of learning difficulties, and need individual attention. » Maybe you are a group of friends, looking for something interesting to do together, around a coffee or a nice cup of tea. » Or you may have a schedule that does not allow you to attend classes on a regular basis – for instance if you travel a lot, or if you work off-shore. Whatever your own circumstances may be, our individual tuition is tailor-made for you, using carefully designed material, or on occasion manuals if we feel you may respond better to a more traditional method of learning. All training material used in class is included in the fees, so there will be no nasty surprises – and the materials are yours to keep: no one will ask you to give them back at the end of the course! After your free 30 minutes consultation, Lise will advise you as to what solution will be most suited to your individual needs, and she will devise a training plan which will be emailed or sent to you before the first lesson is arranged, so you get a chance to have your say about what you will learn! 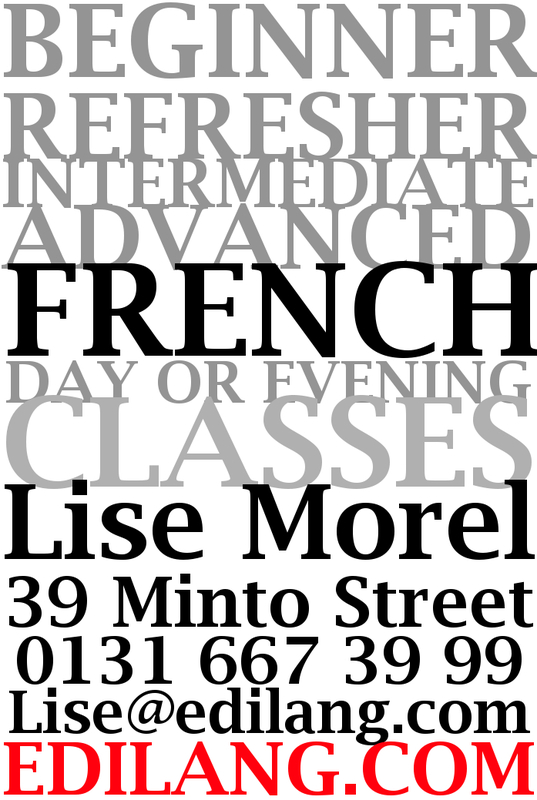 Lise Morel has 20 years experience in language training, and knows all the tricks of the trade – you will quickly speak (and listen! ), through a range of interactive techniques. Contact Lise now to arrange your meeting! The fees include documents used in class, as well as a selection of tea/coffee/herbal teas during the lesson.